Another really cold day and winter is not officially here. This is from much warmer days when the butterflies were coming to visit. 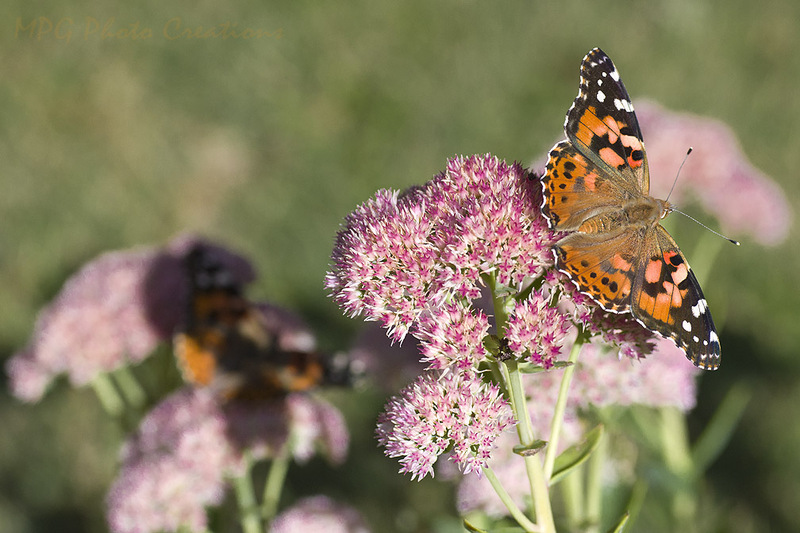 I captured this shot of a Painted Beauty on the Autumn Sedum with another out of focus in the background creating some lovely bokeh.